On the 16th of February, Sleek Make up released their latest I-Divine palette, the Primer palette. "A palette of 12 coloured eye primers perfectly designed to use with all Sleek Make Up i-Divine Palettes. Long-lasting and specially designed to breath a new lease of life into your eye shadows." As you may have already noticed there is clearly a mistake with the shade names printed the clear sheet. I'm sure Sleek didn't mean to name the beige shade "Noir" (which is french for black BTW), or the green shade "Peach". This is not a 100% crease proof product. I've used it only twice so far the first time I got over 10hrs of creaseless eyeshadow wear and the second time I got about 7 hours. I'll admit the first day was a relatively stress less day and I spent most of the second day out in the sun. As is the case with all Sleek I-divine palettes you get 12 shades in 1. Do you need eye shadow primer in 12 shades? May be not but at €9.00 for 12.12gr why not! 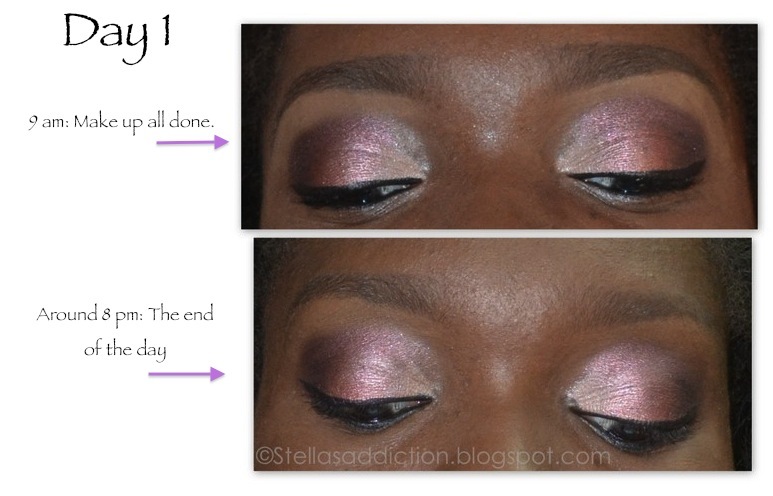 Even though it may not be necessary I think the different shades can only help intensify the eye shadow shades. The primer has a light creamy texture that spreads evenly across the eyelids. For best results, use only a little product at a time and even the product out over your crease just before applying eyeshadow over it. Why? 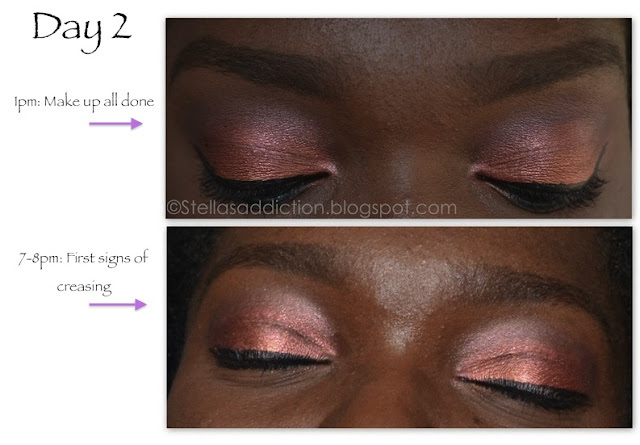 Because the cream creases before you are done applying it on your second eyelid. In all it's worth trying, it's not the best primer I've used but as its one of the cheapest I'll say its a decent deal.